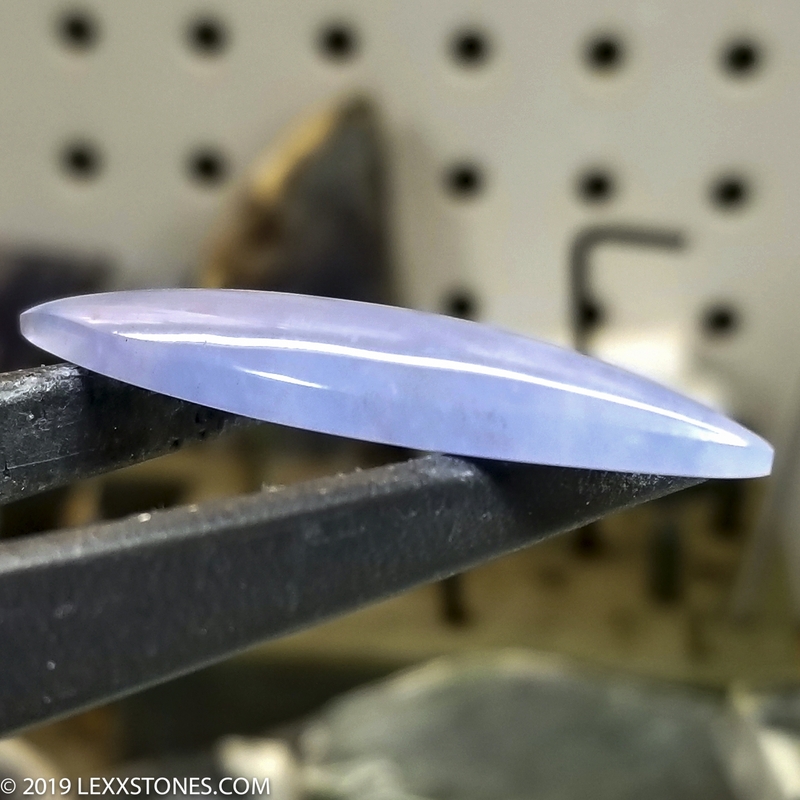 Here for your consideration is an exceptionally rarel hand crafted Namibian Blue Chalcedony cabochon. This incredible copper included cryptocrystalline form of silica was last mined in the early 1980's and is coveted for it's rich vibrant near chatoyant translucency. 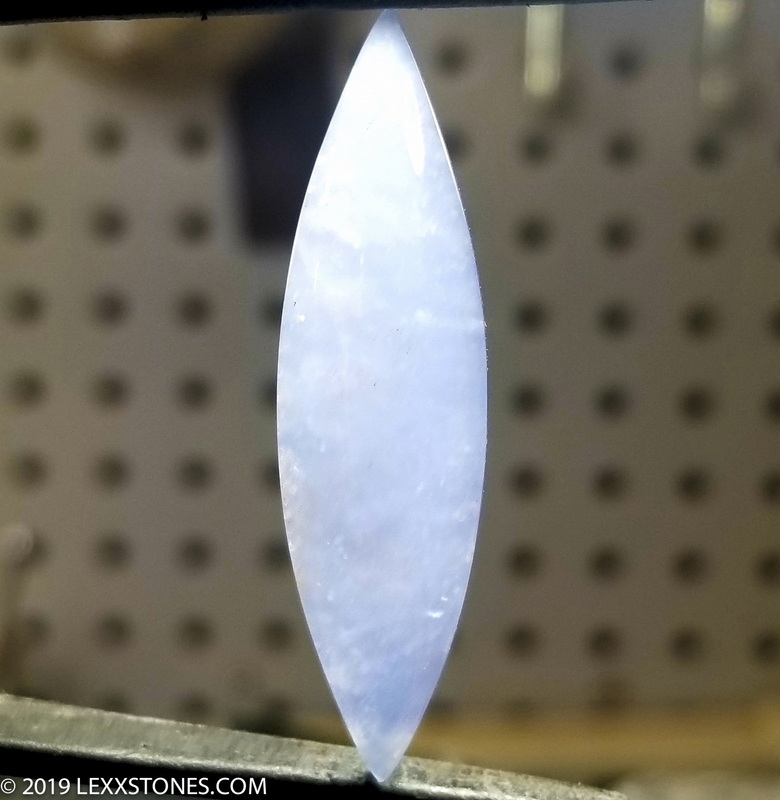 According to the IGS, Chalcedony such as this Namibian blue, was once thought to be a 'fibrous' variety of cryptocrystalline quartz, but more recently discovered to be a combination of quartz and another silicate mineral; Moganite (a polymorph of quartz). Both quartz and moganite share the same silicon dioxide chemical composition, but they have varying crystal structures. Moganite is monoclinic, while traditional quartz belongs to the trigonal crystal system. Chalcedony forms with a hexagonal crystal structure. 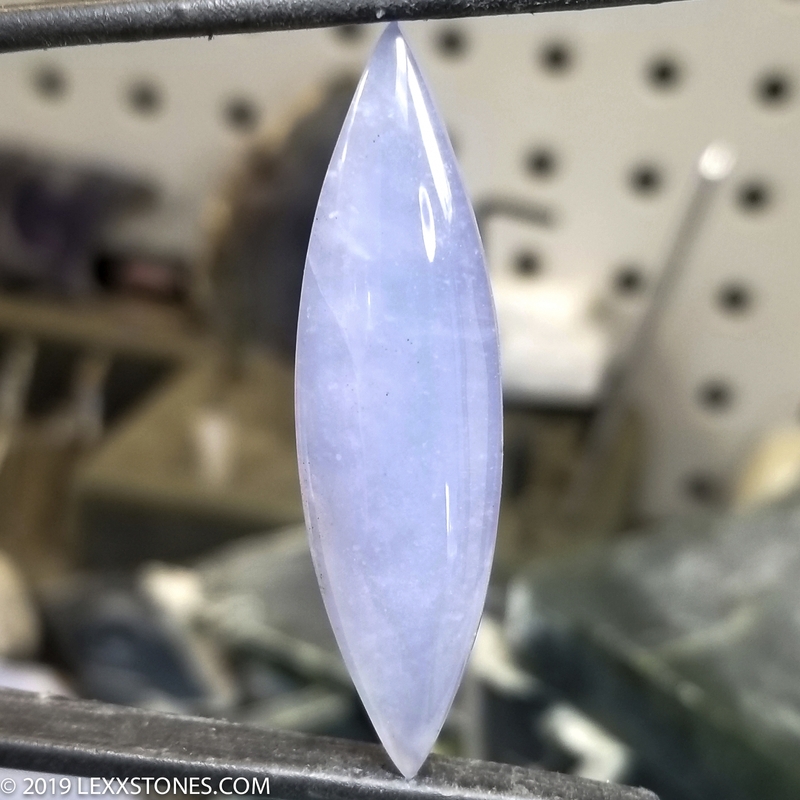 With some very minor inclusions, this piece exhibits a brilliant semi translucent, slight adularescent- iridescent pale blue lavendar purple which changes under different Kelvin lights. Watery, vitreous polish front and back. Standard radius dome. Quite the bragging specimen for your heirloom collection. Perfect for bezel setting, PMC, wire wrap, your next metal, wood or restoration project. Use Your Imagination - We love creative people! A scarce heirloom collectible. Photographs taken under natural daylight. Not dyed (You can verify that with a Chelsea filter) unheated and untreated.